Premiere Pro CC makes editing easier using Microsoft Surface Pro, Windows tablet or Apple trackpad. Objects can be edited more naturally using touch and gestures. The solution allows users to choose from over one million royalty-free video clips to use in Premiere Pro project. This software introduces initial support for high dynamic range (HDR) technology, so the user can work with video that shows rich detail even in the highlights and shadows. The 2015 version helps deliver high-quality HDR video which helps in keeping up with the demands of evolving color workflow. It enables to produce slow-motion effects and other speed changes and gets higher quality frame-rate conversions with the GPU-accelerated optical flow and pixel estimation technology. It allows creating titles in more native alphabets including Hindi, Tamil, Punjabi and more. Adobe Systems Incorporated is an American multinational computer software company. 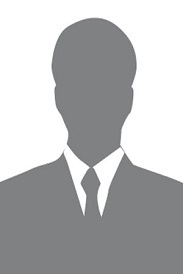 The company is headquartered in San Jose, California, United States. Adobe has historically focused upon the creation of multimedia and creativity software products, with a more-recent foray towards rich Internet application software development. Whatever you set out to do, do it with the same app Hollywood pros use. Start a vlogue, go viral on YouTube or become a go-to videographer. Import footage from any camera or phone, trim clips, add titles and adjust audio. With intuitive tools and tonnes of step-by-step tutorials, you’ll be producing great work in no time. Working on your next masterpiece? Premiere Pro is the only non-linear editor that lets you have multiple projects open while simultaneously collaborating on a single project with your team. Plus, you can lock your projects so others can’t change them. Workflows for colour, graphics, audio and immersive 360/VR take you from first edit to final credits faster than ever. 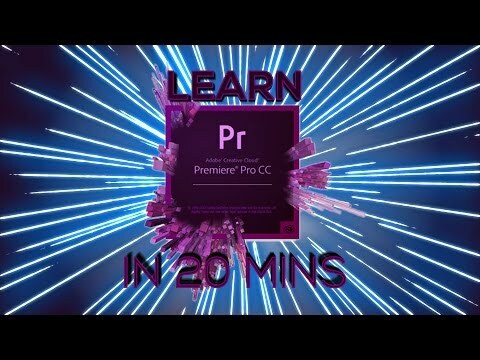 Switch easily between Premiere Pro and Adobe After Effects CC. With Adobe Dynamic Link, you don’t have to wait for rendering. Premiere Pro also works seamlessly with other Creative Cloud apps, including Photoshop, Illustrator and Adobe Media Encoder. And with Adobe Team Projects, editors around the globe can collaborate freely, share securely and more. Q. How do I download and install Premiere Pro? You can download Premiere Pro from the Creative Cloud apps catalog. You'll need to sign in with your Adobe ID and password to complete the download. For more information, including how to install older versions or check for updates, see Download your creative cloud apps. Q. Why won't Premiere Pro install? Q. How do I retrieve my Adobe ID or password? Q. Can I install Premiere Pro on another computer? You can install Premiere Pro and other Creative Cloud apps on up to two computers. If you want to install it on a third computer, you'll need to deactivate it on one of your previous machines. Learn more about activating and deactivating Creative Cloud apps. I love the manual and automatic properties of it. I have total and absolute freedom to make my vision become a reality with all the tools offered within the program. Updates can often time break certain functionalities of the software and that can be annoying. I've had issues like music not playing, titles messing up, and crashing. The color and light correction features are as phenomenal as you'd expect from the company that made Photoshop. The program is a bit of resource hog. Complex effects tend to slow down or break the preview window.